Sarah has over 20 years experience in the commercial sector, latterly as Employee Relations Manager for Sainsbury’s. She then joined the Board at a large not for profit Housing Group, where she spent seven successful years, enjoying broadening her areas of responsibility. Today she is sharing her insights on ‘Bringing your whole self to work’ at the Big Ideas Summit. Find out more about the Summit and gain access to exclusive videos, interviews, articles, discussions and more. Procurious asks: Sarah, you’ve been the employee relations manager at Sainsbury’s, the HR director at Waterstones and have held a board position with the NGO Circle Homes, it’s an impressive CV, tell us a little bit about what you’re working on now. Sarah: I have set up my own offering, sarahtrotaalchemy, which offers organisation level consultancy, executive coaching and leadership intervention. My experience enables me to quickly spot the ‘word from the trees’ which enables acceleration of positive outcomes. I have a unique approach which is commercially driven, with people as the focus of positive outcomes. Procurious: At the Big Ideas Summit you’ll be part of a panel discussing ‘bringing your whole self to work’. Do you feel like some businesses have created a organisational culture where people are not able to be themselves at work? Sarah: For sure. Culture is simply the collective ‘way we do things around here’. Organisations need to stay tuned in (through employee surveys and discussion) on the reality of how things are. It’s a real challenge for senior leaders, who in their very senior roles can become isolated to ‘how it really is’, and often can be surrounded by leaders who maintain the status quo. Over time this can become quite damaging when culture becomes institutionalised. Procurious: One of the things we’ve spoken about a lot at Procurious is the need for procurement professionals to develop their own personal brand. Have you got any insights around this you’d like to share with us? Sarah: Brand is important. Brand is the external (and internal) perception of you, your organisation and your profession. Perception is a vehicle for ‘setting your stall out’ and as we now know authenticity is really important, commercially and to drive employee engagement. Shifting perception (Brand) is the work to be done, and needs to start with a reality check of measurement. The measurement can then helpfully target and prioritise what needs doing, and also help to keep track of progress. Procurious: You won the the HR Director of the Year at the Personnel Today awards for you role at Circle Housing. We read that one of the main projects you oversaw in your time there delivered more that 1.5 million pounds in savings through HR efficiency improvements. Can you tell us a little about that project? Sarah: I was really fortunate last year to be a judge for the annual awards for the UK overall HR Director of the year, and the finalists had delivered some really significant outcomes across different sectors. However, most organisations are commercially driven (even in not for profit organisations that measure SROI) and HR Directors are part of an executive team that are jointly responsible for delivering commercial success. I think the award that I won, recognised the commercial benefit that had been delivered from the transformation outcomes, which in the social housing sector were leading edge at that time. The 1.5m you mention was a smaller HR project that involved a complete overhaul of the recruitment process and shifting some mandatory training to an e-learning platform. Procurious: We’re reading a lot about more flexibility in the workplace. People are working from home more and we’re starting to see firms implement innovative HR policies like unlimited leave programs. Are these sorts of changes something that you think will become business as usual in the HR space? 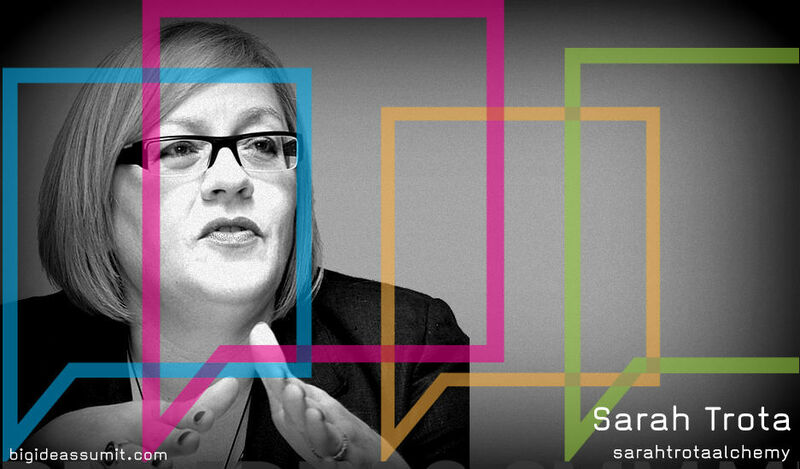 Sarah: I think that as human beings we broadly do what we think is right, and what will deliver positive outcomes. Engaged people deliver successful outcomes, and organisations need to measure levels of engagement and critically, identify the levers for engagement. Most organisations have big challenges and identify what they believe will deliver positive outcomes. People are key to that agenda, and in order to tap innovation and engage the whole workforce, then different ways of working will emerge and deliver successful outcomes. The successful outcomes will then deliver change in working practices.